Following the reveal of nine different Empire magazine covers for X-Men: Apocalypse, Fox has released a few more images from the upcoming conclusion to the new X-Men trilogy, featuring another look at Ben Hardy’s Angel, Oscar Isaac’s En Sabah Nur (aka the titular Apocalypse) and some brand new costumes for the heroic mutant crew. 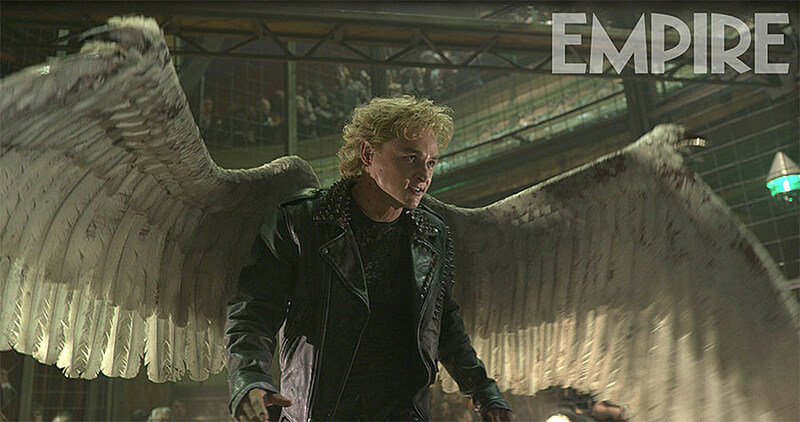 Empire revealed the new images from Bryan Singer’s sequel, the first of which features a pre-Archangel version of Angel spreading his wings in the Berlin fight club scene that’s been teased in set photos and trailers. Next is Oscar Isaac’s epic new villain — well, not entirely new, as he’s an ancient baddie who may be the very first mutant to ever walk the earth. Apocalypse uses his vast powers to boost the abilities of his Four Horsemen, including Angel, Michael Fassbender’s Magneto, Alexandra Shipp’s Storm and Olivia Munn’s Psylocke. 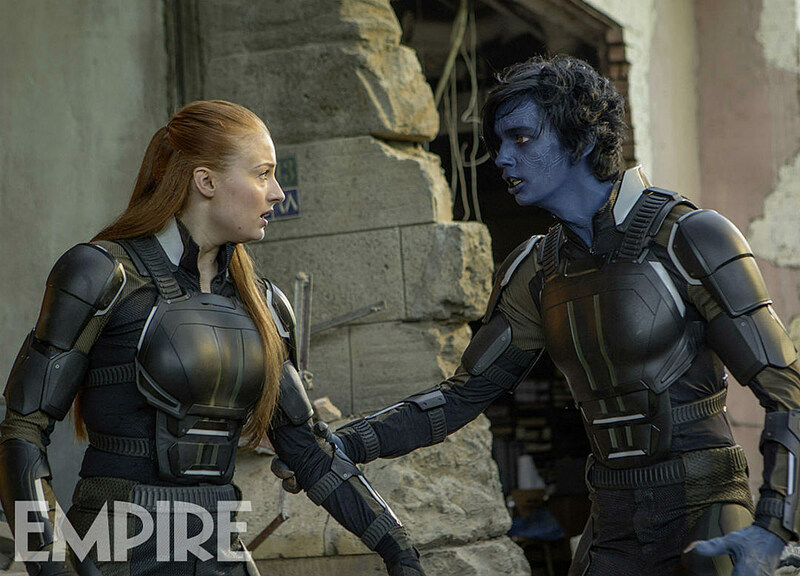 And finally there’s a still of Sophie Turner’s Jean Grey with Kodi Smit-McPhee’s Nightcrawler, the two showing off the X-Men team’s new, heavy-duty costumes, which don’t look particularly easy to move around in. The film also features returning cast members Jennifer Lawrence, James McAvoy, Nicholas Hoult, Evan Peters and Rose Byrne, reprising her role from First Class. They’re joined by newcomers Tye Sheridan as Cyclops and Lana Condor as Jubilee. 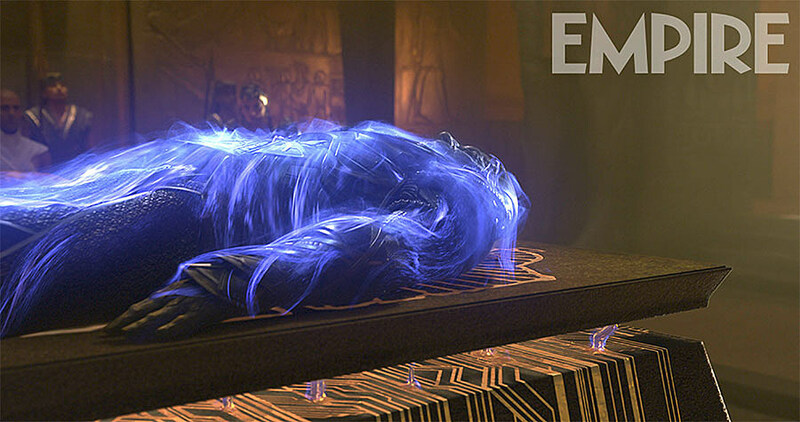 X-Men: Apocalypse hits theaters on May 27.